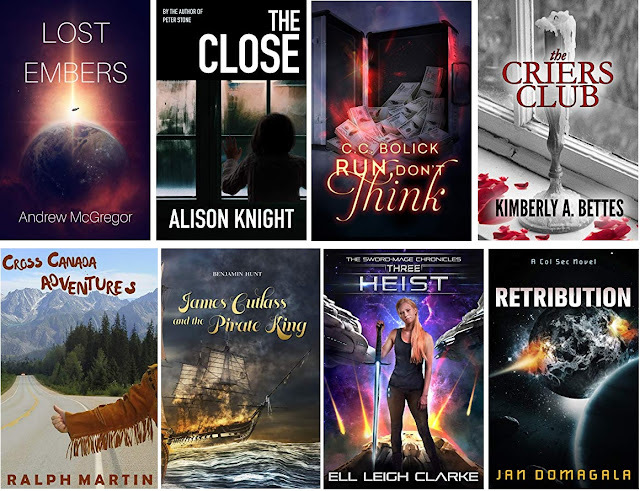 How many free ebooks will you grab today? Personally, I have taken full advantage of all the wonderful free books available on Amazon - all sorts of novels, cookbooks, how to guides, business books, self-help - and so much more! In my opinion, Kindle is just plain fun to use. Plus it surpassed all my expectations. Whether you are looking for your first ebook reader or have owned one before, if you love books, if you love reading - you will love your new Kindle. I love that I can find a new book and start reading in seconds! click the Buy From Amazon Button now! HOW TO ORDER: Click on the book title that interests you, then click on the Buy At Amazon.com button. You will get another chance to make sure the book is still free, before clicking on the final Buy Now with 1-Click button on the top right. it is updated with new FREE books every single day! Be Quick! Though books are free at the time of posting, prices may change at any time. Be sure to verify the Kindle Price , before purchasing. If you do happen to buy a book you thought was free, you can return the book within 7 days for a full refund. Authors: Have your own free book(s) to add to this list? Fill out this form and your book(s) can be added! Don't have a Kindle? Use a free reading app! Available on your iPhone, Android phone, Blackberry, Windows Phone, PC or Mac computer, iPad, iPod Touch or Android tablet - just grab a free Kindle Reading app. Or grab yourself a Kindle. • Smashwords Book Freebies - Free books for NOOK, KOBO, SONY, and Kindle! I really want to grab one of these ebooks. I like the "Prodigal Hour." Many thanks for listing my book, 'Elizabeth Clansham,' Catherine. Keep up the good work! Is anyone else having trouble getting to page 2? It's been happening for a few days now - it starts to show up, and then it just comes up as a blank page. Thanks for anyone's help. Thank you for listing my book, "The Amazing Adventures of Toby the Trilby." I hope you all enjoy it! Thank you for featuring my new release, "The Big Book of Home Grown Fun"! It's a quirky read for gardeners and nature lovers. The eBook is equivalent to 284 print pages with more than 400 images of fun garden projects, techniques and perspectives. FREE this weekend. I love your free books list! Thank you very much for listing my book Disneyland on a Budget! I appreciate it! Thanks for listing my book The North Hollywood Detective Club in The Case of the Hollywood Art Heist. This is a terrific mystery book for middle-grade, teen, and young adult readers. And I've must released the second book in the series: The Case of the Dead Man's Treasure. I see a lot of great books listed here and I'm honored to be included with them. Thanks for give us these free books. Thank you for including my book, Calming the Storm. God bless! Thank you for posting my book! Sorry, for being a space cadet and submitting it twice. I'm trying to submit a link to a free e-book, and I can't figure out how to do it. I keep getting directed to this page, and I can't see any way to submit the link. Help, please. Thank you for posting B is for Bacon alphabet book!! Loove the freebies! "I'm trying to submit a link to a free e-book, and I can't figure out how to do it. I keep getting directed to this page, and I can't see any way to submit the link. Help, please." Before this week, I could click on kindle ebooks and go to religion and spiritual, then to Christian fiction. When I go to kindle ebooks now, I get non books in all genders. What happened? Virgina McVay - Unfortunately Amazon changes their links all the time, just to confuse their customers, i guess!? Thanks for listing my book, Black & White! Thank you so much for listing my book, "Curtain Call for Murder," with today's 'Freebies!' I hope anyone who downloads and reads it will enjoy it. I really enjoy your terrific website -- thanks again! Thank you very much for listing my book Face Shaping Massage! I really appreaciate it ! Thanks for listing my book, Black & White.How is the buy?